The policy document was launched this week. A ban on live exports of animals, the introduction of mandatory CCTV in slaughterhouses and a consultation on the expansion of “megafarms” are among the proposals in a 50-point animal welfare draft policy document which was launched yesterday by the Labour Party. Some of the proposals echo aims already stated by the Conservative government but others include mandatory labelling of meat to include details about stunning; a phased ban on sow farrowing crates; and an end to the use of cages on British farms. The Animal Welfare For The Many, Not The Few document states that a ban on live exports for slaughter or fattening would include an exemption for breeding animals providing they are transported under “genuinely high welfare standards”. There would also be an exemption for livestock transported across the Northern Ireland border. Shadow environment secretary Sue Hayman said the Labour Party’s vision was one where no animal is made to suffer unnecessary pain. She said: “We continue to drive up standards and practice in line with the most recent advances and understanding. A spokesperson for Scotland’s farmers’ union said the country’s farmers already have the highest animal welfare standards in the world. 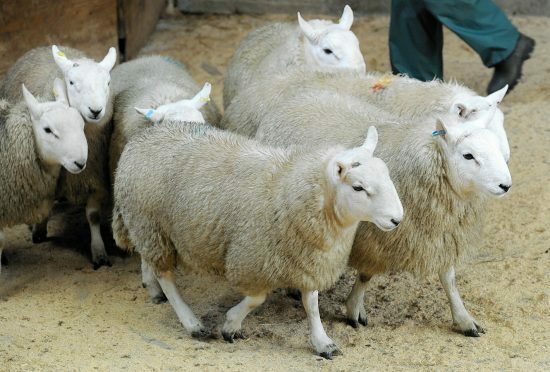 However, the British Veterinary Association (BVA) said it was delighted to see animal welfare high on the political agenda and focused on the proposals on mandatory labelling which would state if the animal had been stunned before slaughter. BVA president John Fishwick said: “We continue to lobby for a ban on non-stun slaughter but, while stunning is still permitted, we believe that any meat from these sources should be clearly labelled to enable consumers to make an informed choice about the food they eat. • Introduce a formal whistle blowing procedure through the Food Standards Agency to enable employees to report bad behaviour and practice within abattoirs. • Design post-Brexit farm subsidies to move away from intensive factory farming and bad environmental practices. • Issue new guidance to end the use of antibiotics for routine, preventative purposes with farm animals.